(Back Row, left to right) GHD board members Virginia Hall and Randy Lenac, Jan and Chuck Vermillion, GHD board member Michael Emerson, Shawn Kelley. (Front Row, left to right) Rick Doremus, Dee Davis, Ally Kellogg, GHD board member Bob Ayres and Gloria Chadwick. 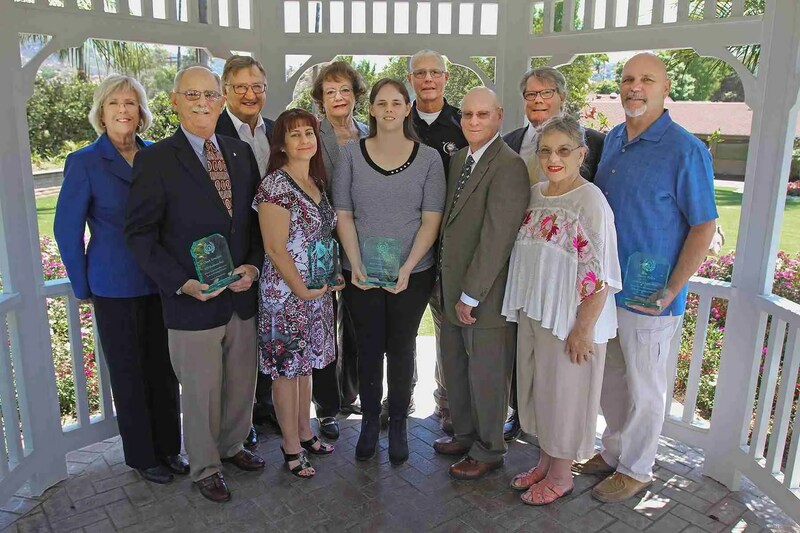 The Grossmont Healthcare District (GHD) is seeking nominees for its 2019 Healthcare Heroes awards. Now in its 13th year, the Healthcare Heroes is GHD’s annual awards program recognizing volunteers who advance the delivery of quality health services in the East County region. Examples of volunteers eligible for nomination include health educators, volunteer transportation providers, health professionals, first responders, community clinic volunteers, pastoral caregivers, grant writers, members of service clubs, members of policy or advocacy organizations, auxiliary members and healthcare-related youth volunteers. Nominees may include any individual volunteer or volunteer(s) of organizations who demonstrate selfless dedication beyond their paid duties. Nominees from prior years are eligible to be nominated again, if they were not previously selected as honorees. Deadline for submission of entries is Friday, March 8. Entries can be submitted online through the GHD website, e-mailed, or mailed to the GHD offices at 9001 Wakarusa St., La Mesa. Nomination forms are available at www.grossmonthealthcare.org/operations/special-events/healthcare-heroes. The 2018 honorees included a family practice physician who helps those not able to afford health insurance, two volunteers who provide one-on-one comfort following crisis events, a 23-year-old who spends part of her weekends in a hospital emergency room, a couple who drives people to their cancer treatments and a non-profit board member who has volunteered for the past 20 years.